This is the best example of a broch on Tiree and the only one that has been excavated. 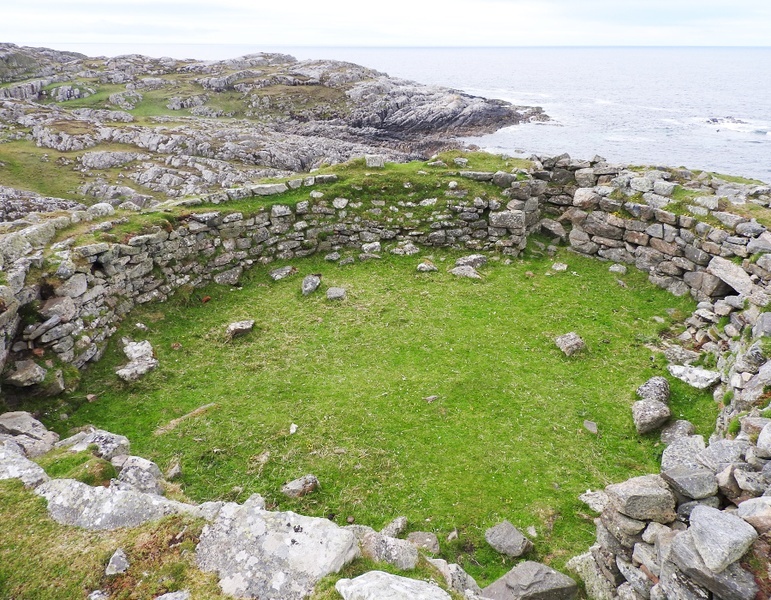 The broch was built in about 60AD as an emergency refuge and then inhabited for 200-300 years. 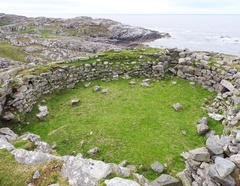 Originally the broch had double wall with an inner staircase leading to two or three galleries. There was a guard’s cell on the right of the entrance and the whole structure was surrounded by a high stone rampart with a platform for a signal fire. Following that time it was used as accommodation only intermittently until the Vikings arrived. In later years the walls were lowered to near the present height and the interior was converted into a farmhouse with outhouses built outside the walls. in the broch on the way to the Ringing Stone.